Note: Please register here for your tickets and bring £20 CASH for entry on the event to pay for your tickets, all students must provide the student ID to complete registration. Dress code: Smart / Dress to impress! * Meet fellow Moroccan students and professionals. * Listen to stories from successful entrepreneurs. * Get to meet our famous speakers. * Enjoy our exclusive buffet which include 80 dishes! (Itinerary of this event will be sent out to all participants by e-mail on due course). 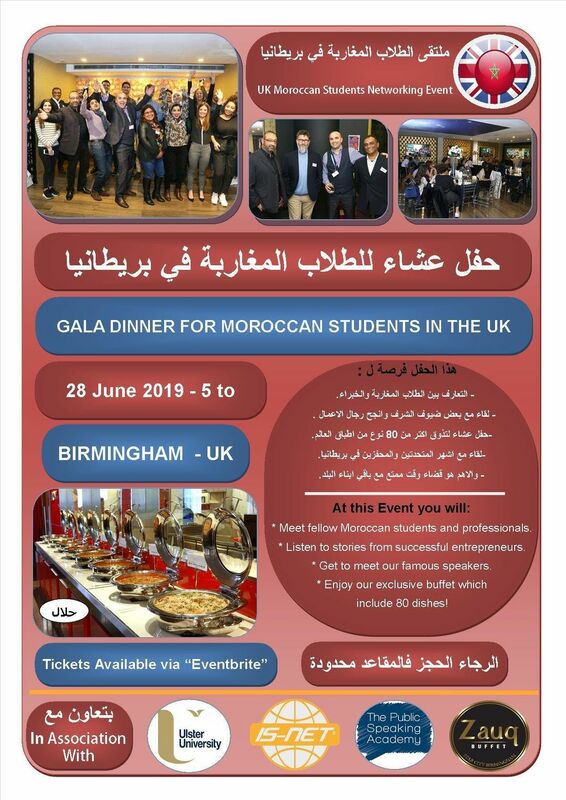 - Socialising and promoting the connection between the Moroccan students in Great Britain.- Possibility of initiating cutural and educational exchanges between students in the UK.- To enhance the mutual understanding between students and a better understanding of British civilization and moroccan culture.- To facilitate contact between Moroccan Students and Entrepreneurs based in the UK.- To develop exchanges of experiences between students.- To create students networking events much benificial and relaxed. StarCity is the Midland’s premier family leisure and entertainment venue with free/massive Car Park and it is only 10 minutes from Birmingham City centre. Opened in July 2000, centred around an impressive central atrium, StarCity is the perfect venue for any event. Whether you are looking for the best value student entertainment in town, hosting Parties, looking for Corporate or Team Building Events or simply want a quality family day out! – StarCity boasts fantastic leisure attractions and great dining and drinking venues all under one roof! Funfairs, fireworks displays and other exciting family orientated events regularly take place at StarCity, including high-profile attractions such as the Moscow State Circus and Cirque De Soleil. a Twin Peaks Family Climbing Centre. a massive/ free Car Park. Offer an array of international cuisines including Indian, Chinese, Japanese, American and Italian restaurants and our venues cater for all tastes and group sizes. 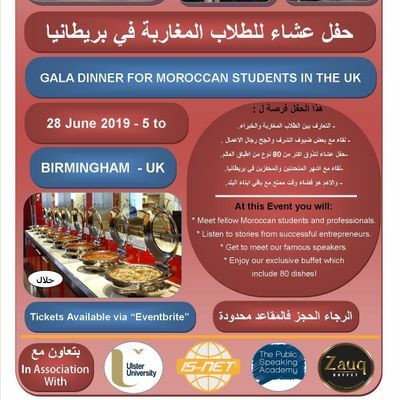 P.S: This event is mainely for Moroccan students based in the Uk. Places are limited so please consider your status carefully before booking!